Miriam Norris knows a good story when she sees it. 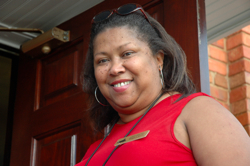 Three years ago, on the heels of a 25-year career in radio and broadcast journalism, Norris became tourism director at Dexter Avenue Baptist Church. With that role, she took on a story close to her heart: the moment a 24-year old minister named Rev. 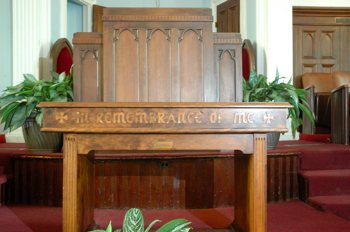 Martin Luther King, Jr., took to the pulpit of his own church, for the first time. It would remain the only church where he would serve as senior pastor. 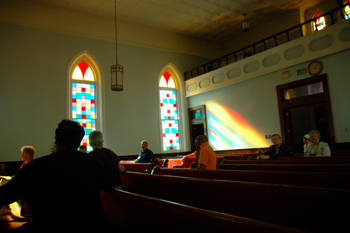 Under King’s leadership, Dexter Avenue Baptist Church soon proved the staging ground for what would become a watershed moment in the Civil Rights movement: the Montgomery bus boycott, which stretched over a 381-day period until a federal court declared the city’s bus segregation laws unconstitutional. “If nothing [else], this is a good story to tell, I never tire of telling it,” says Norris, who also grew up in the church and is an active member of what remains, today, a vibrant congregation of nearly 250 members. Located in the heart of Montgomery, Ala., just a few yards from the Alabama State Capitol, the church got its start back in 1877. That’s when a group of congregants splintered off from what was then known as “First Colored Baptist Church” to establish their own congregation. In the years to come, Dexter Avenue Baptist Church gained a well-known place in the city’s social fabric. By 1900, it included many academic elite members of the African American community, with individuals who taught at the nearby Alabama State University, one of the first historically black universities in the state. Years later, in 1954, King was recruited by Senior Deacon Robert D. Nesbitt. 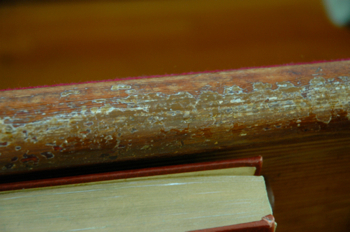 You can still feel that history as you settle into the pews, in use for more than 120 years now, and look ahead at the very same pulpit from which King preached, up until 1960. “It’s very gratifying that people are still inspired by what happened here — people are inspired that ordinary individuals chose this place and that time to stand up for what was good for all people,” says Norris. “That delights me.” And keeps her telling the story.